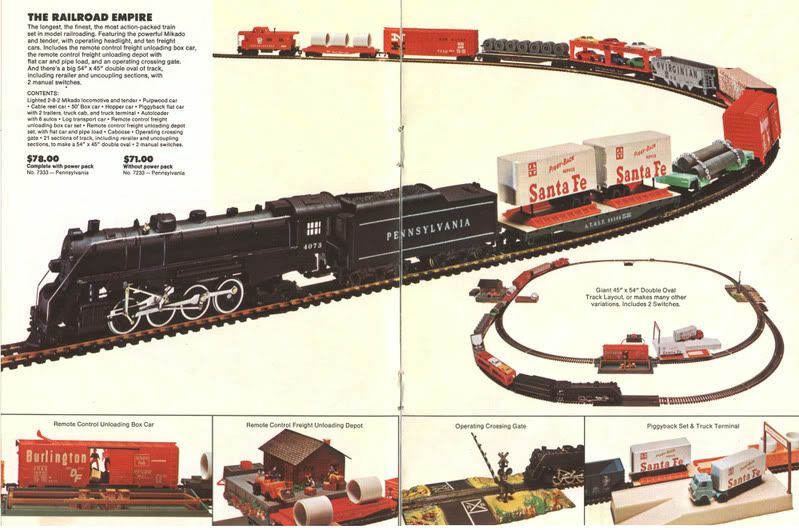 This is the first catalog to display the linked "TY" and "CO" corporate logo that arrived at the same time as the sale of the company to Consolidated Foods. 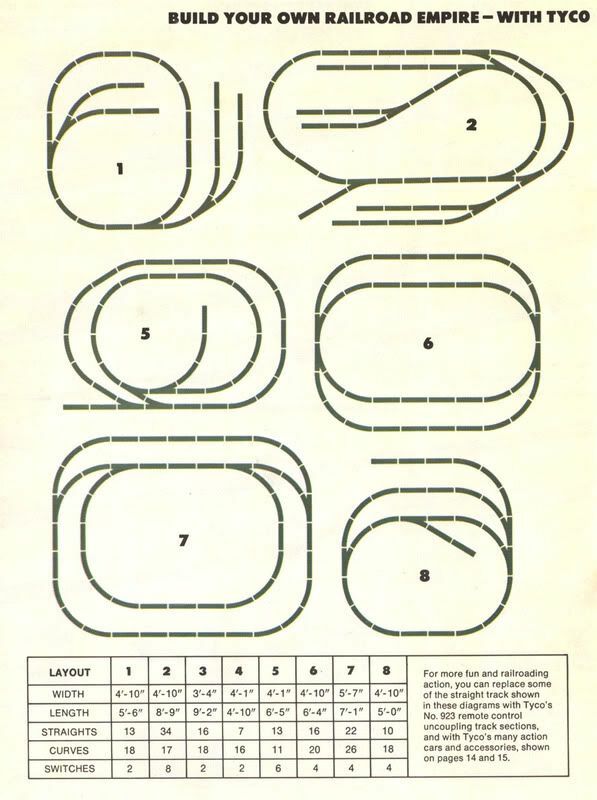 Cover to cover, this publication totals 32-pages and is full color. 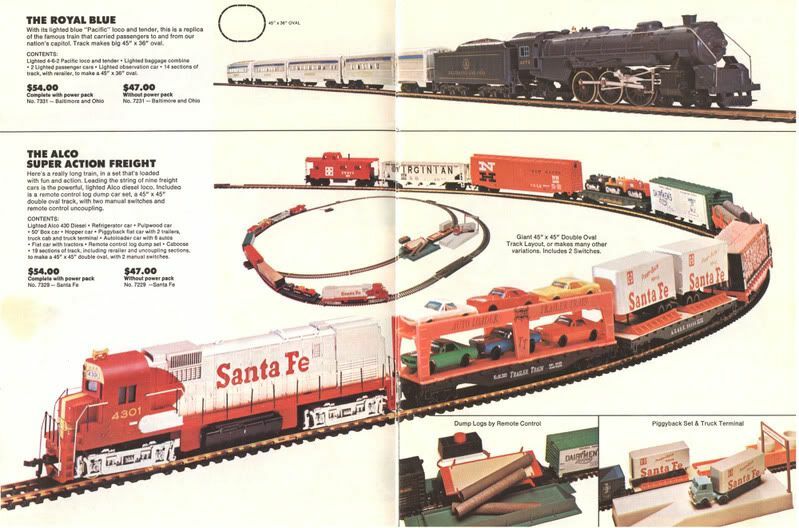 Found on the third page in the introductory area for HO-scale trains is the "stencil" TYCO logo found in previous years. 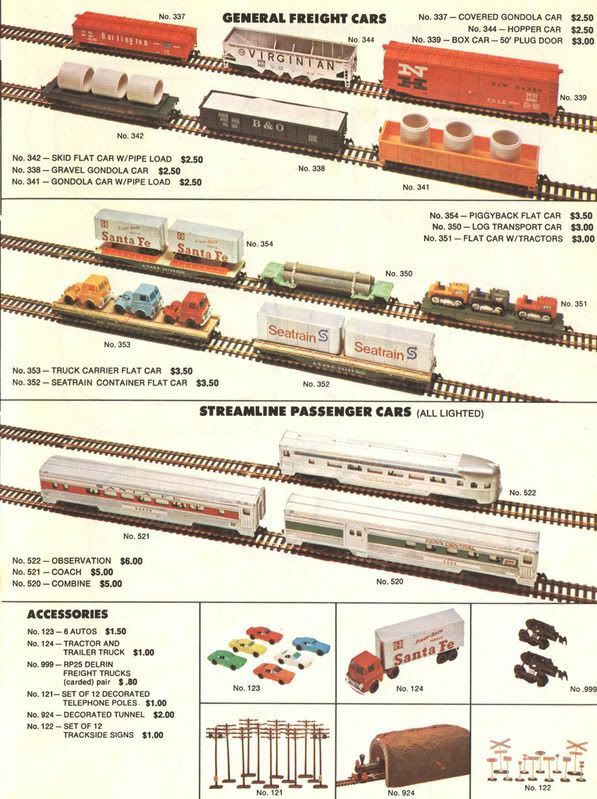 The new image TYCO logo is found in the slot car portion of the catalog. 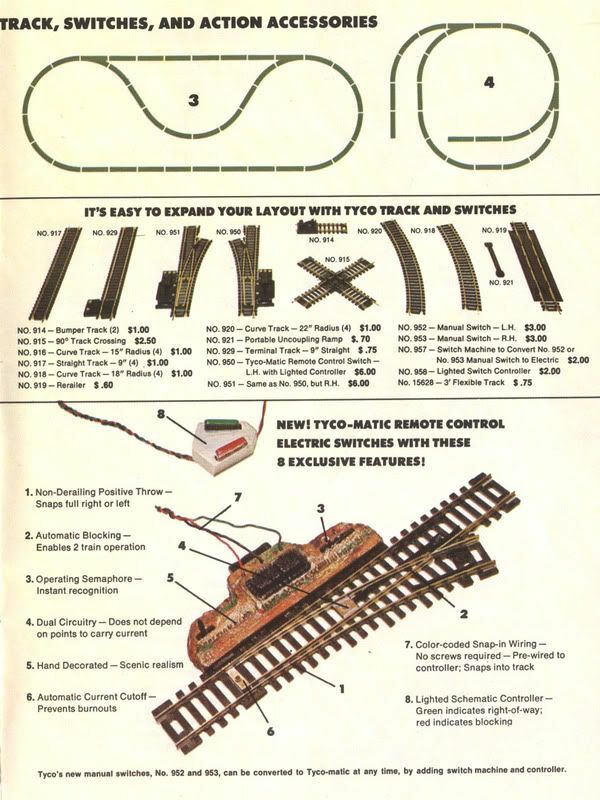 In the company's promotion of itself and the hobby, TYCO states HO trains are, "the most popular electric trains by far." 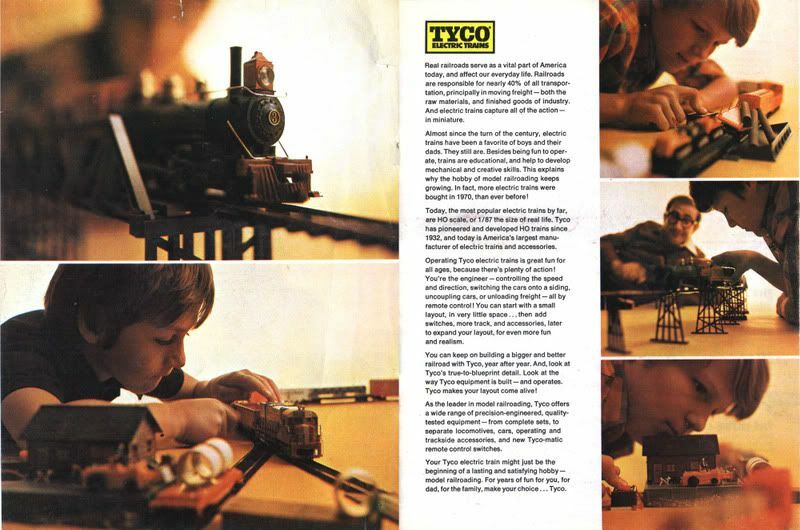 TYCO credits themselves with the, "pioneering and development" of HO back to 1932. 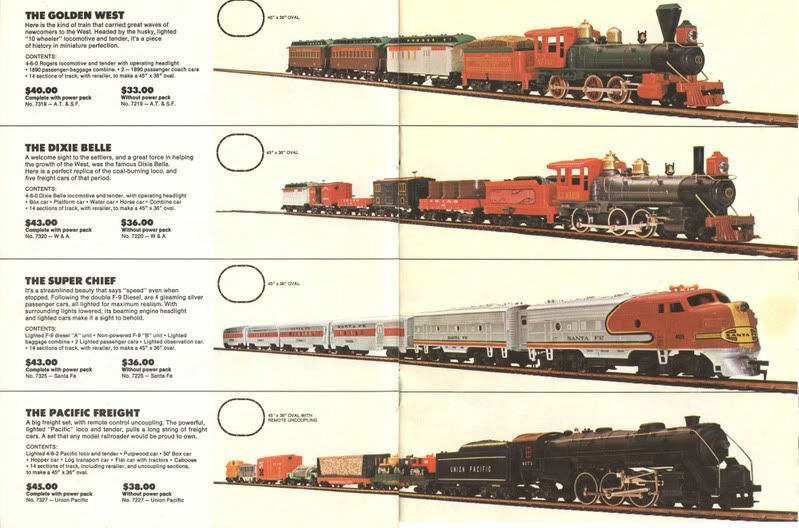 The TYCO moniker did appear on products until the '50s, so this reference to 1932 is back to parent Mantua. 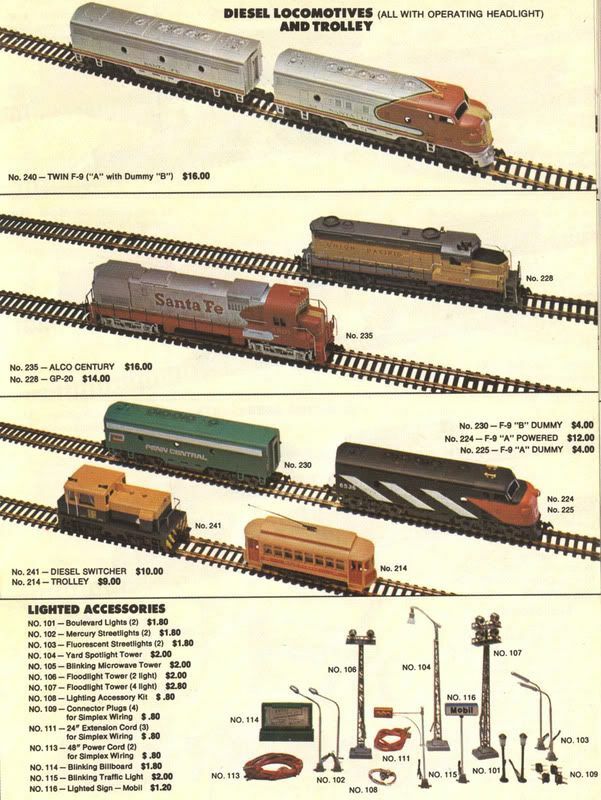 TYCO states in this publication, as in others, the company is, "America's largest manufacturer of electric trains and accessories." 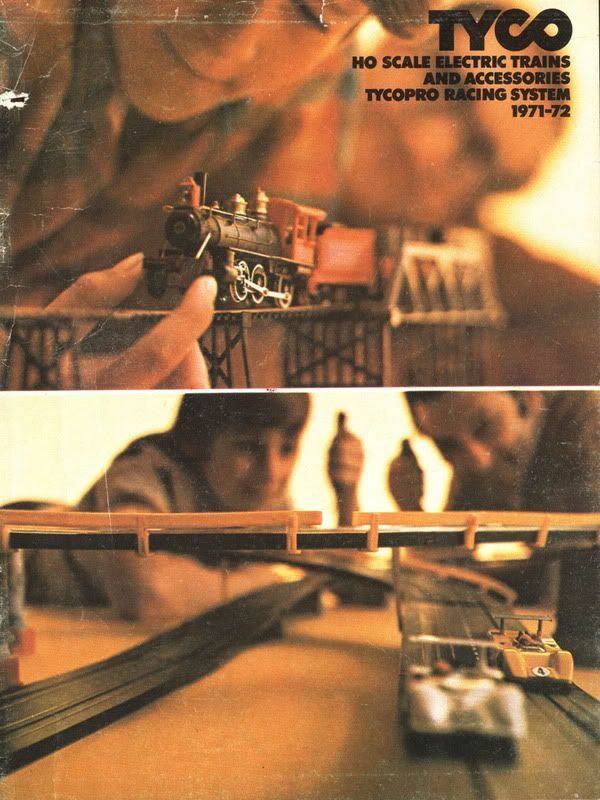 For many years, I had only found smaller size versions of the 1971-72 TYCO catalog. 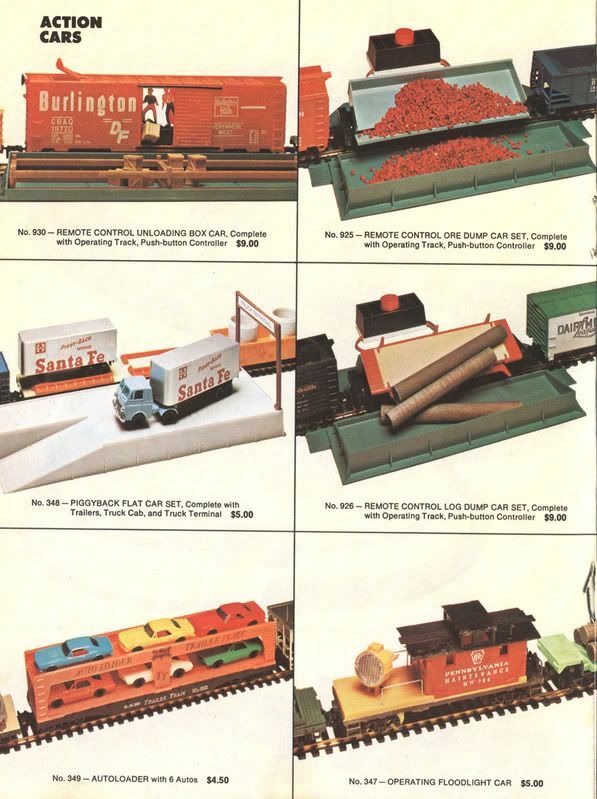 Recently, however an 8 1/2" x 11" or magazine sized example surfaced that I added to my collection. 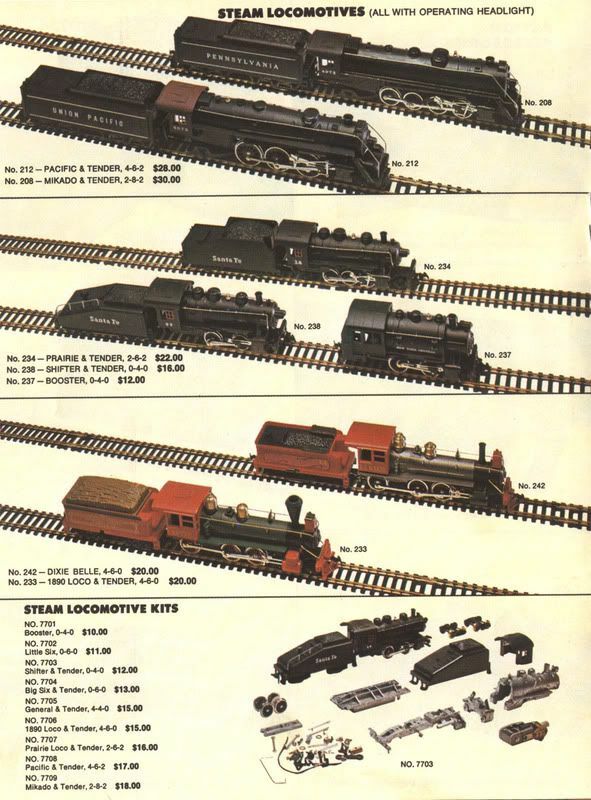 The contents of both sizes of this catalog are identical. 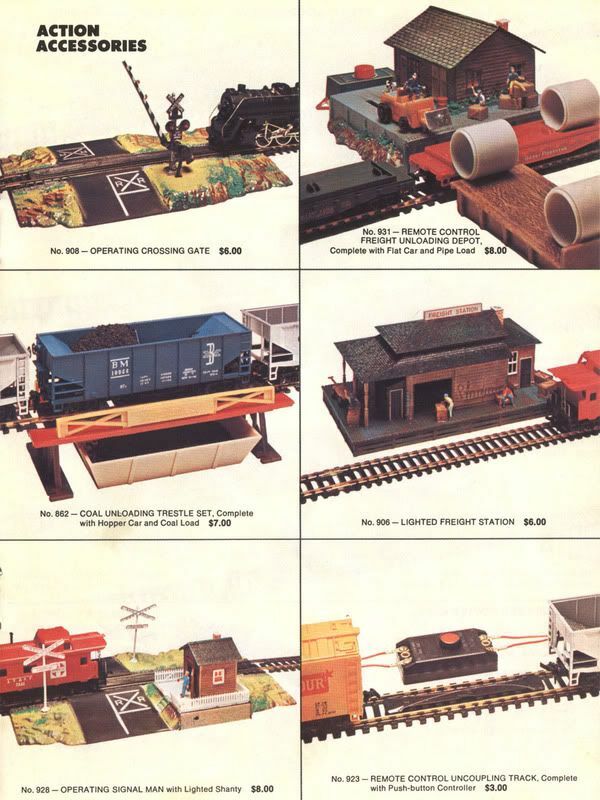 Cover price on this catalog is fifty-cents. 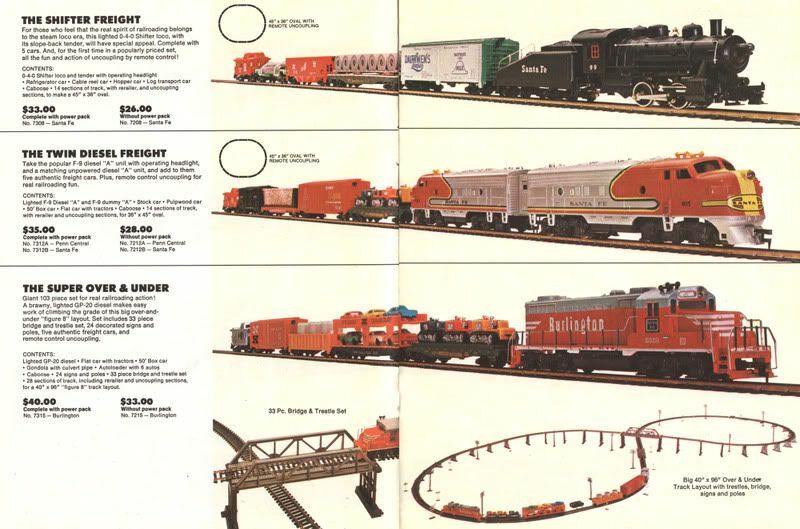 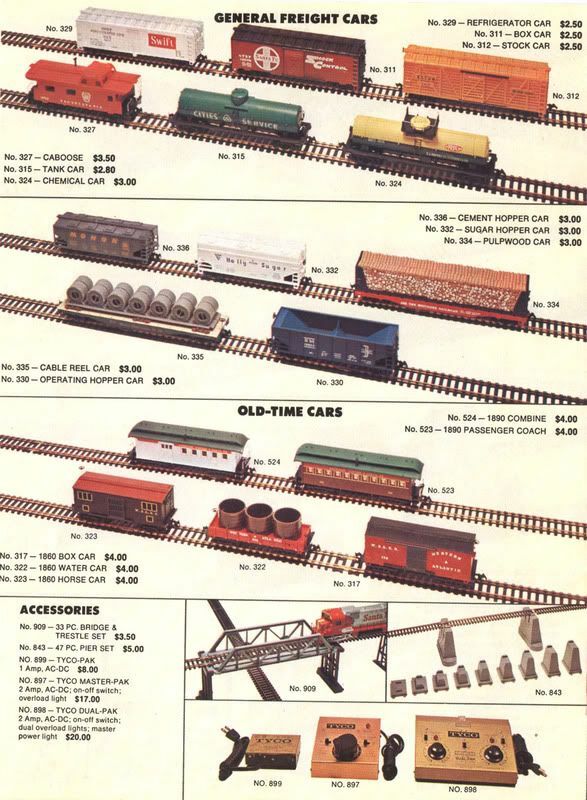 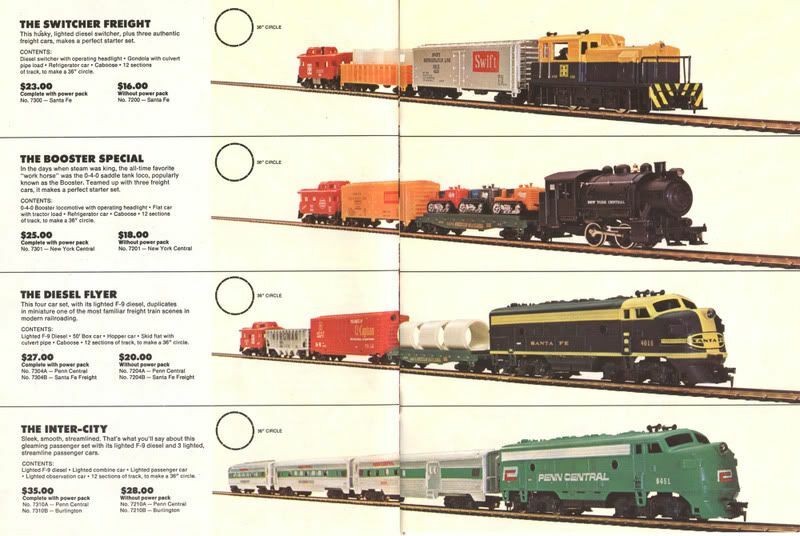 Presented below are the pages that included model trains. 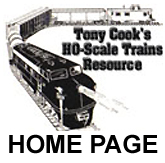 You may click on any of the smaller images and a new browser window will launch providing you with a larger version for better viewing. 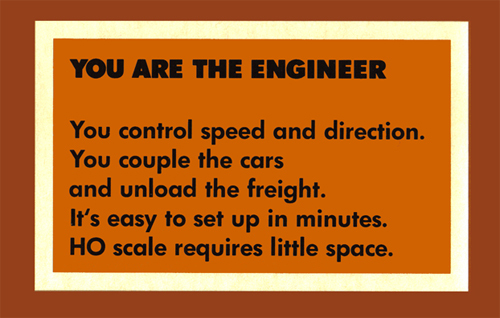 The TYCOPRO HO-slot cars are not presented at this time.